The federal opposition is pressing ahead with preparations for its promised review of the tertiary education sector that it will hold if successful at the next federal election. Federal Labor has promised to hold the wide-ranging review as one of its major policy priorities within its first one hundred days. 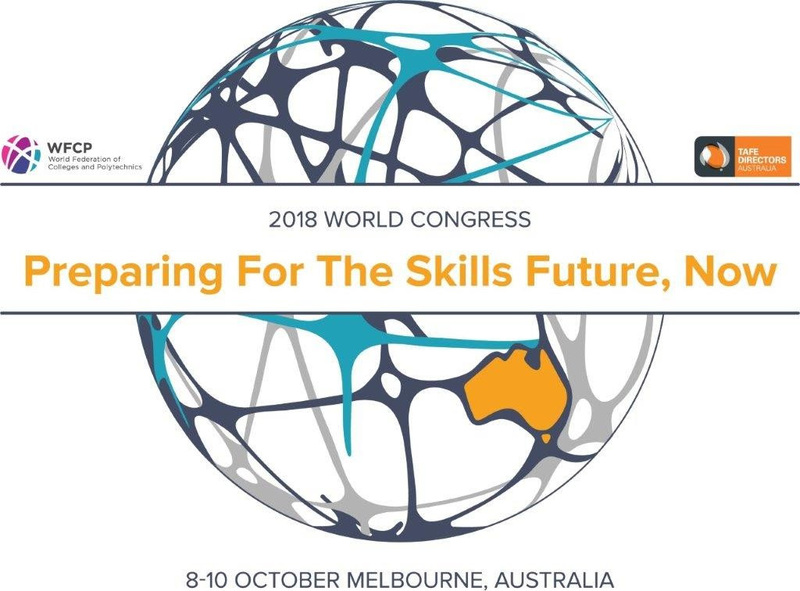 Over coming weeks it plans to convene a panel of experts, sector leaders, and union and business representatives, to advise on the scope and develop the terms of reference. In a circular, Labor says the inquiry will examine the structure of the vocational education and training system, including curriculum, pedagogy, assessment, quality assurance and funding. 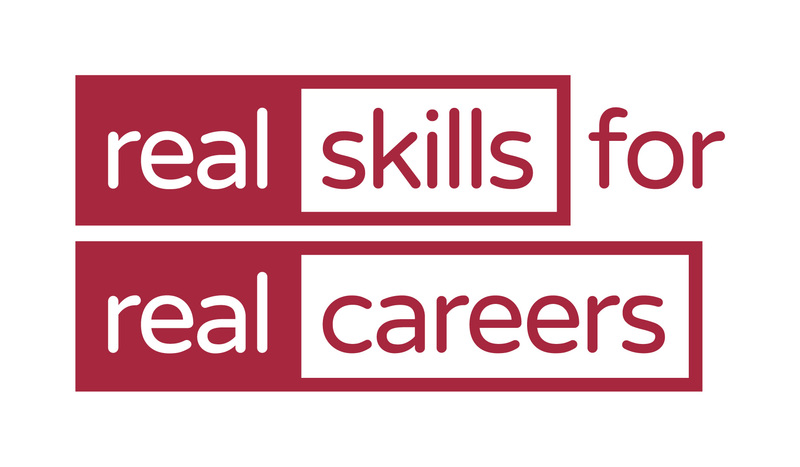 “Critically, it will examine the role of TAFE – which Labor has committed will be at the centre of Australia’s vocational education system,” it says. The VET sector recorded the biggest increase in international student commencements of any education sector during 2017, according to the latest statistics. There were a total of 455,680 international student commencements – also known as new enrolments – in 2017, an 11% increase on 2016. This compares with the average annual increase in commencements of 3.8% per year over the preceding ten years. 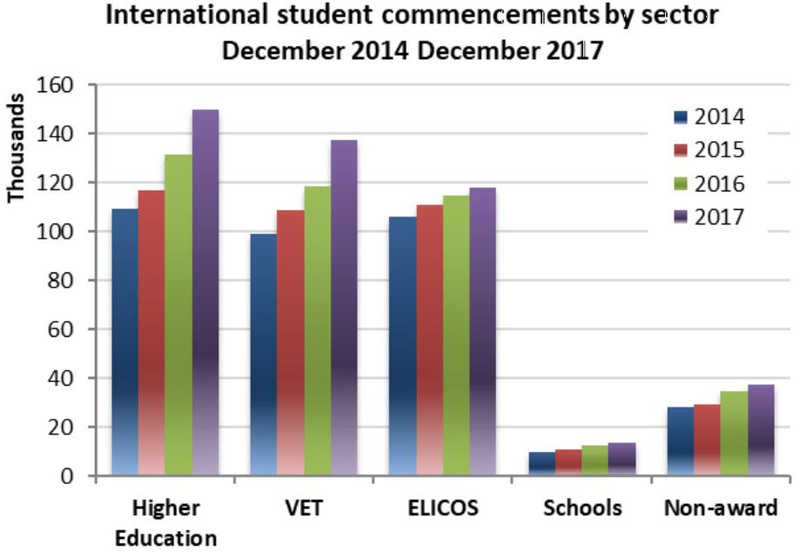 VET commencements increased by 16%, compared with 14% for higher education and 3% for ELICOS (English Language Intensive Courses for Overseas Students). Higher education had 33% of total commencements, slightly ahead of VET at 30%. Within the VET sector, India contributed the largest share of enrolments and commencements, followed by China. The NSW government has pointed to a significant jump in TAFE enrolments in traditional trades to highlight the skills and job creation fruits of its big infrastructure spend. Premier Gladys Berejiklian said TAFE NSW had experienced 19% increase in enrolments for electricians and an 11% increase for carpenters and plumbers compared with the same period last year. “Over 40 TAFE NSW apprentices are working on the Sydney Metro project, on top of the 238 and 157 for NorthConnex and WestConnex respectively, showing the NSW government’s record investment in infrastructure is creating jobs for our TAFE students,” the premier said. Reform of vocational education should be undertaken quickly, rather than in a piecemeal way, in order to avoid the effects of state government funding cuts, tertiary education expert Peter Noonan has argued. Professor Noonan from Victoria University’s Mitchell Institute told The Australian that the Commonwealth should act unilaterally to force the states to uphold their end of vocational education funding agreements. He said that Labor’s proposed tertiary education inquiry, promised if it wins the next election, would be too late to avert a crisis. “You could be looking at a two or three-year hiatus while the states continue to take funding out of VET,” he said. He said that incremental change would be a waste of time. He also said the student loan scheme should be further extended to VET students, so they were not forced to pay up­front administration fees, and he urged “a full end-to-end design” of the scheme. The Australian Skills Quality Authority (ASQA) is recruiting for the position of Regulatory Officer, based in Melbourne. Working as part of a team, the regulatory officer will be required to analyse allocated complaints and regulatory matters and make determinations regarding the appropriate regulatory response under the national framework. Applications close on 21 March. More information is available here.